Lash Extensions and Lash Lifts are offered at Body Nouveaux Spa, in Lincoln NE. LASH EXTENSIONS AND LASH LIFT are big demands in the beauty industry and I don't see it slowing down anytime soon! The lash lift last up to 6-8 weeks without a touchup! So for 6-8 weeks you can enjoy your FLAWLESS lashes. You will definitely be able to throw away your lash curler, and for some they feel they don't need to wear mascara! You can definitely throw away your lash curler AND Mascara when you have Extensions done. 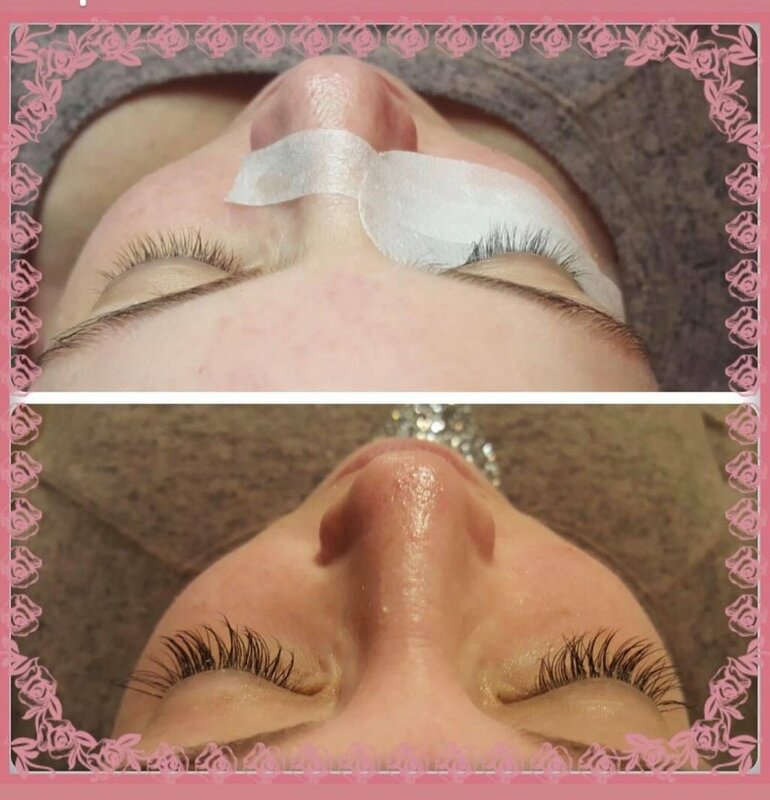 Lash extension fills are done every 2-4 weeks but do give more of a FULLNESS while adding length and curl to your natural eyelashes and really accentuate the eyes! You can go as bold as you like with a Volume fill, or many go for more of the Classic style- for more of a natural look. They are both AMAZING enhancements for your lashes, it really just depends on your own personal preference. I personally LOVE them both! Be New... Be YOU at Body Nouveaux Spa! Lash Extensions: So tiny yet so impactful. As a Lash client, any service that includes an hour long nap is worth incorporating into your life right? No matter how bold or how minimal the lash look is, one thing is for certain, they REALLY DO make the difference. Many of our guests find that they like the way their eyes look with just extensions and opt out of putting on more makeup! If you have been searching for a product that thickens and lengthens your natural eyelashes, we have the answer for you with this popular service: semi-permanent eyelash extensions! These are single strands of synthetic or mink lashes that can be either curved or straightened to replicate your natural eyelash. One by one, these extensions will be applied to your natural lash to create a beautiful, elegant look that you will love! You will be able to toss your eyelash curler and mascara in the trash and wake up with beautiful, sophisticated lashes morning after morning!